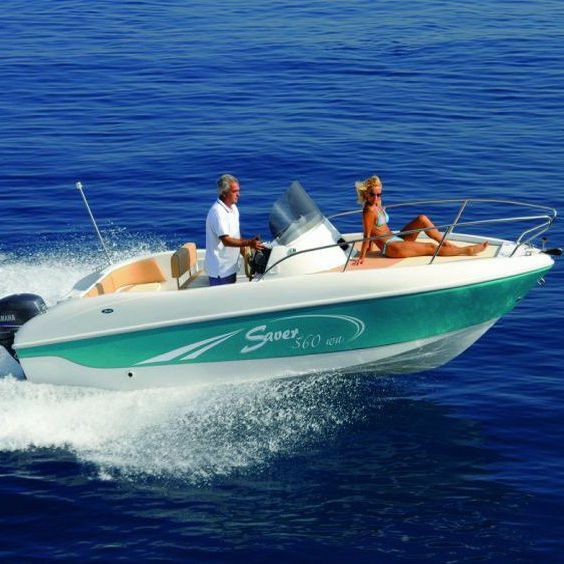 Motor boats > Motor boats with cabin > Outboard walkaround > SAVER S.R.L. 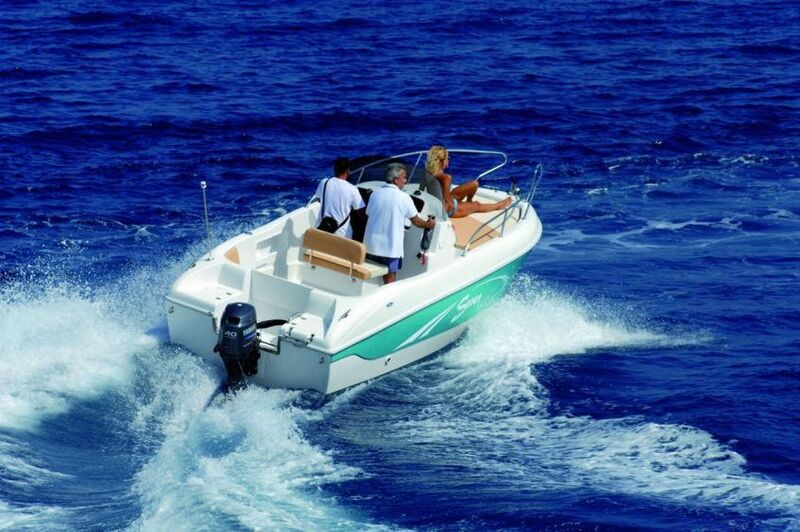 outboard walkaround / center console / sport-fishing / 7-person max. The smallest of the Walkaround family, but no less versatile and less exploitable for your excursions. 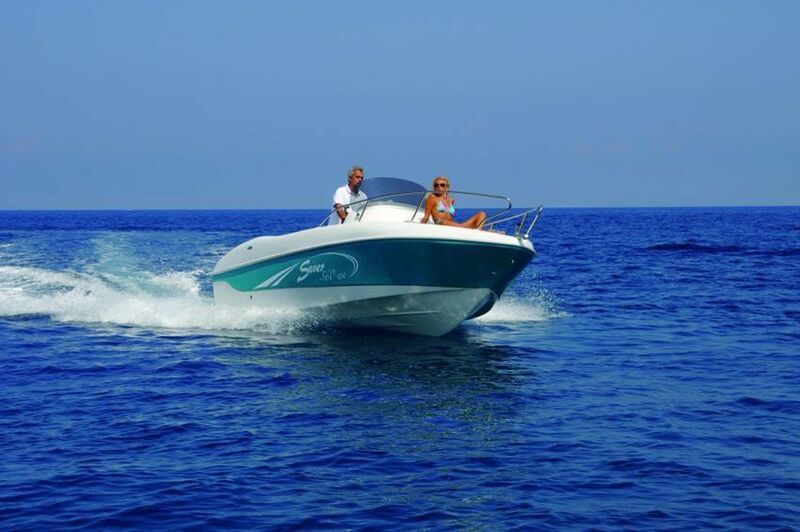 As for the 'big sisters' we expected a double sunbathing so as to ensure that all moments of relaxation when you are navigate or when you are moored or anchored. The performance with only 40 hp are very interesting, which broadens its possibilities of use even for the 'non-licensed'! 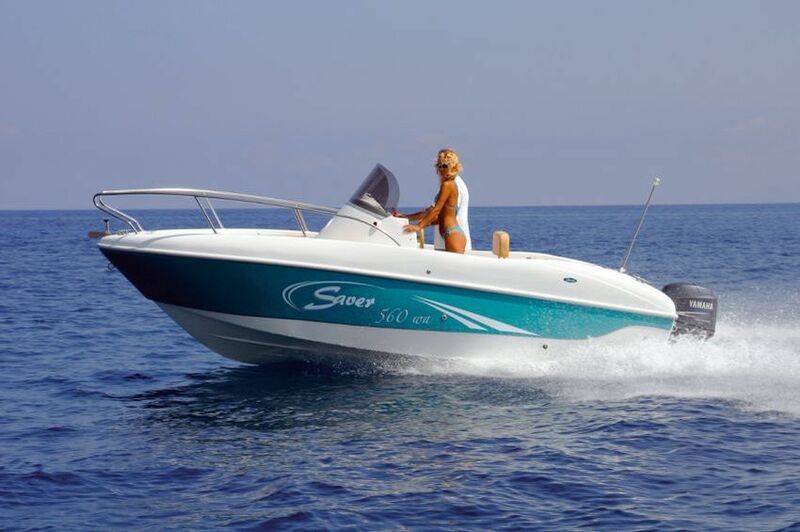 The 560 WA is ideal for those approaching for the first time in the world of sailing, but equally interesting for those who are looking for a boat easy to handle both on land and in water, cheap, but with great possibilities and performance of use. The cockpit spaces seamlessly blend a classic open with those of a small cabin, reserving under-deck with a double bed and the possibility of adopt a toilet (chemical or marine) below the central plane of completion. The bow has a first permanent sunbathing, while the second aft deck is fitted. In the aft, near the engine, there are two platforms at which: inclusive of a swimming ladder and the other self-draining locker. 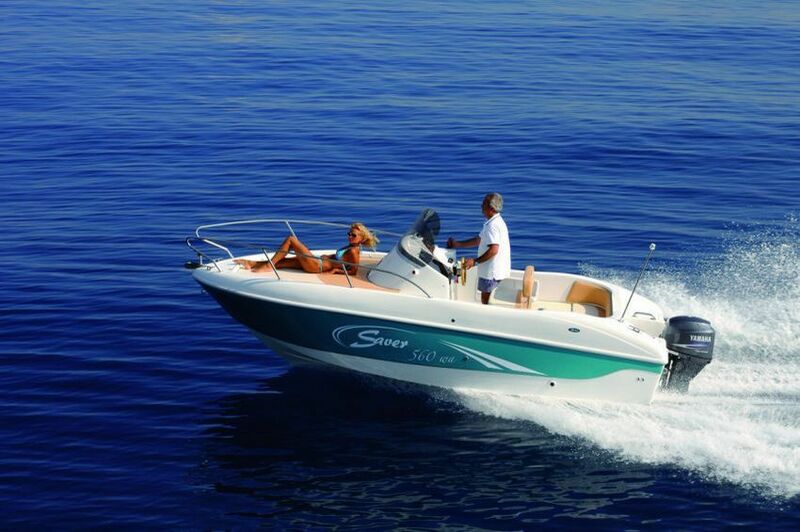 The helm finally provides a central console equipped with a transparent windshield, and a double seat with storage below, where you can place equipment on board or a cooler bag.